If you ask me to name one show I want to bring back on the screen the answer would be The Secret Circle. Back in 2011, when everyone was crazy about The Vampire Diaries (and I know people are still crazy over the show now), I was crazy about the witches on The Secret Circle. I finally caught up with the show and I have to say that the show is moving very fast. I’m not sure if it’s a good thing or not. I might have too much expectation of the show. Another thing that I noticed is the lack of chemistry between Clary and Jace. I’m not sure why but I just couldn’t really feel it. Also, for some reason, Jace is easily forgotten in the show. (Or maybe it’s just me) I don’t think his character on the show takes centre stage as much as the book or movie version of TMI. Another surprise for me is the appearance of Lydia Branwell. I’m aware that she is not actually on the book? I was confused when I saw her on the show and I went to google if there was anyone named Lydia Branwell in the book. Then I found out that she was added to the show. I think her appearance will definitely make everything more interesting. Matthew Daddario, Harry Shum Jr., and Alberto Rosende definitely steal the show. Alec was not my favourite character in the book, but on the tv show, he’s definitely on the top of the list. I think Matthew did great job portraying Alec. Casting Harry Shum Jr. as Magnus Bane is probably the best decision they make. He is amazing and I would say he succeed in bringing Magnus to life. And Alberto! I’ve loved him since the first episode and he is definitely the perfect Simon. And yesterday, we found out that there would be season 2 of the Shadowhunters. I have to say that I’m excited for the second season. 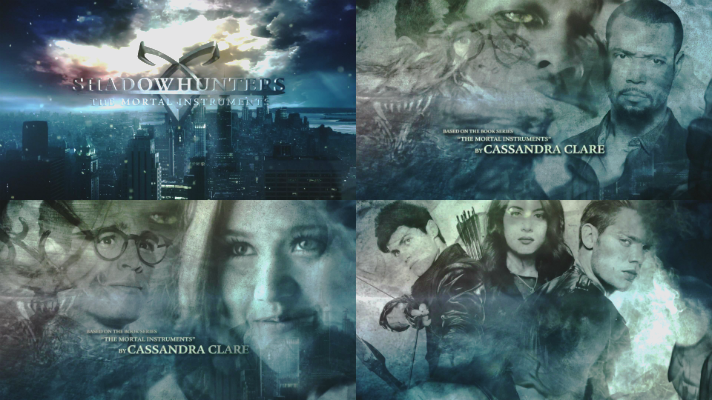 Even though I don’t love the show, I Iike seeing the shadowhunters world. I don’t have much expectation on the second season but I do hope that it would be well-developed and not miss out on anything important from the book.